Contributions: Designed and built the site, created a custom WordPress theme for the blog. 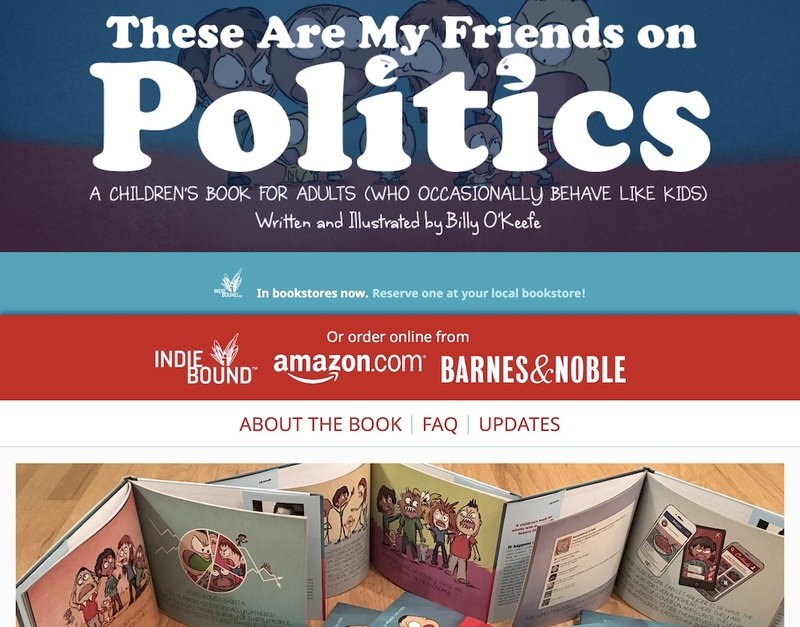 In 2016, I made my debut as an author (if not, technically, a book illustrator), and while I was funding pre-orders for the book, I used this website to give people a comfortable landing spot (rather than, say, dropping them face-first onto a page asking them to buy something they barely know anything about). It’s economical on words and heavy on color, which I feel is a fitting site for a book that’s constructed with a similar ratio of words to bright colors. Anyway, the book is still, of course, available for sale. If you need a Christmas, Thanksgiving or other gift to calm people down following this upcoming election, here you go. Posted in Web and tagged These are my Friends on Politics. Bookmark the permalink.